Today is all about standing out - both with bold color and a spectacular silhouette. You guys know I'm a fan of Dolce Vita from the amount of styles I've featured but can you blame me? With dynamic footwear styles like these art-inspired, architectural Dolce Vita Brava Wedges. 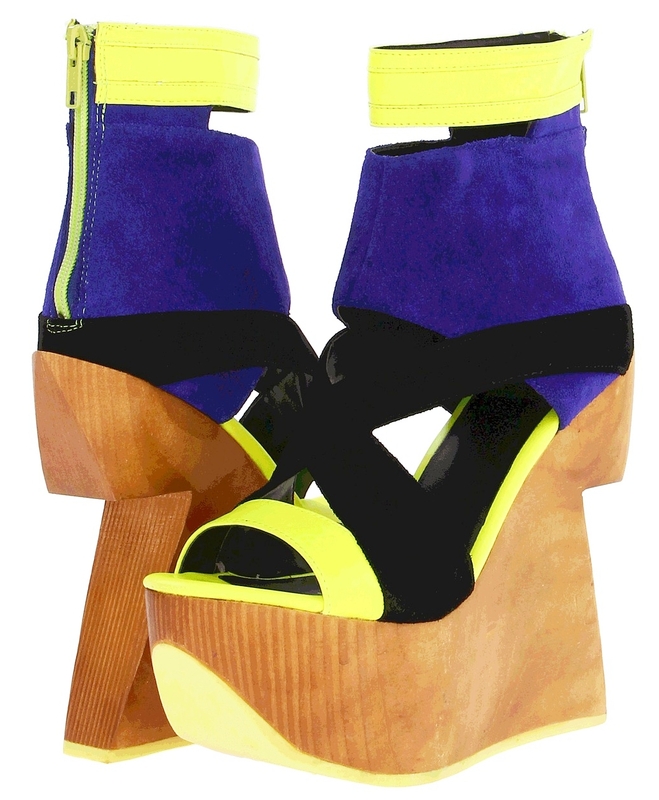 This breath-taking style features a leather and synthetic upper with bold contrasting color block sections and back zipper, open-toe silhouette, and a towering 6" chunky wedge heel with creative cutout back and 2 1/4" platform. How much would you expect this standout heel to retail for? Whatever the number, you'd be wrong, it's less than you think. These are available on 6pm.com for only $122.99. Happy shoe shopping ladies!